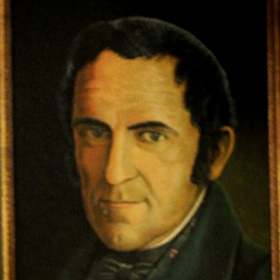 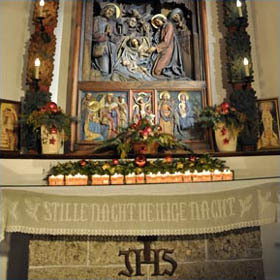 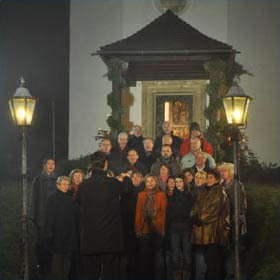 Vis­it of the Si­lent-Nnight-Chapel - here the song by Franz Xaver Gruber and Joseph Mohr was sung for the first time 1818 dur­ing Christ­mas ser­vice. 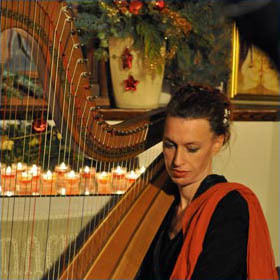 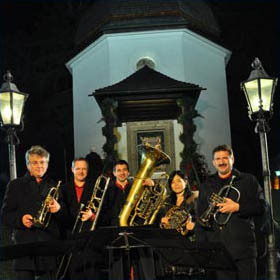 Loc­al en­sembles like THE PAR­IS-LO­DRON-EN­SEMBLE (brass), STREICHQUAR­TETT KISS (string-quar­tet), and the chor­al en­sembles LIEDER­TAFEL OBERNDORF, and the STILLE-NACHT-SÄNGER per­form tra­di­tion­al christ­mas car­ols as well as in­ter­na­tion­ally known rep­er­toire. 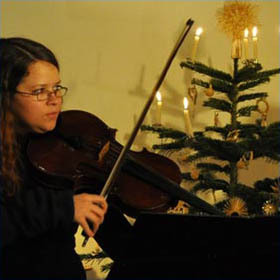 "Es ist ein Ros ents­prungen"
"Maria durch ein Dorn­wald ging"
"Vom Him­mel hoch, da komm’ ich her"
"Es wird scho glei dump­er"
"Ex­tract from Partita E Ma­jor (J.S. 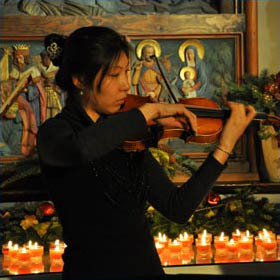 Bach)"
"Wa­ter Mu­sic: Al­legro (G.F. Han­del)"